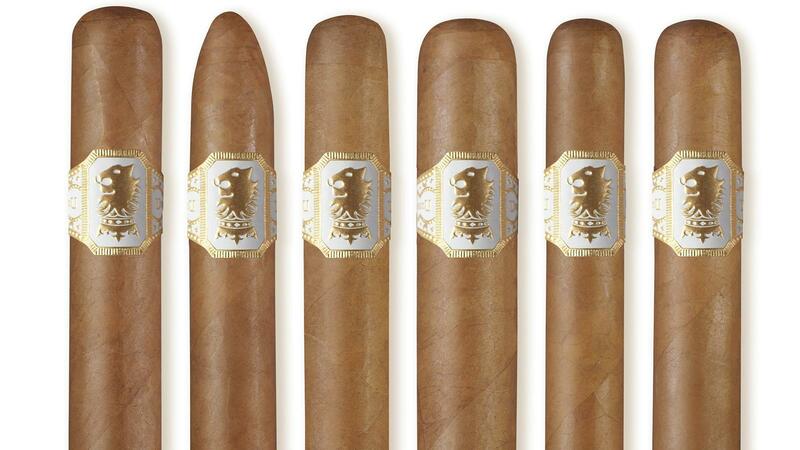 Undercrown, the Drew Estate brand created to work around a shortage of dark, rugged, Connecticut broadleaf, is adding a line extension made with one of the cigar world's lightest wrappers, Connecticut Ecuador. Undercrown Shade is made with a combination of Nicaraguan and Dominican filler tobacco, held together by an Ecuador Sumatra binder and cloaked in a tawny-brown leaf of Connecticut-seed wrapper grown in Ecuador at the foothills of the Andés Mountains. (The word "shade" in the title is somewhat of a misnomer. Connecticut Shade is grown in the Connecticut River Valley in the United States, with tobacco fields covered by nylon cloth, to shade it from the rays of the sun. In Ecuador, where cloud cover is nearly constant during the growing season, the clouds make all the shade that is required, and the plants are grown without any covering at all.) Undercrown Shade will debut this weekend at the International Premium Cigar & Pipe Retailers Trade Show. The blend, created over the past year by Drew Estate's master blender Willy Herrera, is the first cigar he has created for Drew Estate that doesn't fall under its Herrera Esteli group of names. Herrera describes the blend as "medium bodied," making it considerably milder than the original Undercrown. Released in the fall of 2011, Undercrown was created by Drew Estate to fill a gap in its production of Liga Privada, a bold, full-bodied smoke made with Connecticut broadleaf wrapper. Liga Privada, ranked as one of the hottest brands in the United States last year by Cigar Insider, Cigar Aficionado's semimonthly Internet newsletter, is often on back order. Drew Estate simply doesn't have have enough broadleaf to meet demand. Undercrown, described as "an inverse Liga" by Drew Estate, is also a full-bodied, maduro cigar, but the wrapper is Mexican San Andrés instead of broadleaf. Cigar Aficionado and Cigar Insider have rated 11 Undercrown cigars since November of 2011; the cigars have scored from 87 points to 90 points in our blind taste tests and cigars tend to be quite strong in character. The new Undercrown Shade will come in the same sizes as Undercrown: Belicoso (6 inches long by 52 ring gauge, $9), Corona Doble (7 by 54, $9.50), Corona (5 5/8 by 46, $7.50), Gordito (6 by 60, $9.95), Gran Toro (6 by 52, $8.25 and Robusto (5 by 54, $7.75). The cigars will come in boxes of 25, and shipments will begin this fall.